Reason 1: They’re the lazy man’s computer. People talk of mobiles as being the lazy man’s computer because you always have your phone on you 24 hours a day and it’s much quicker to quickly search for something than to power up a computer. However, with their small screens, mobiles aren’t the most pleasant way to experience websites, to look at something with friends/colleagues, to view larger amounts of information, to read an e-book, etc. 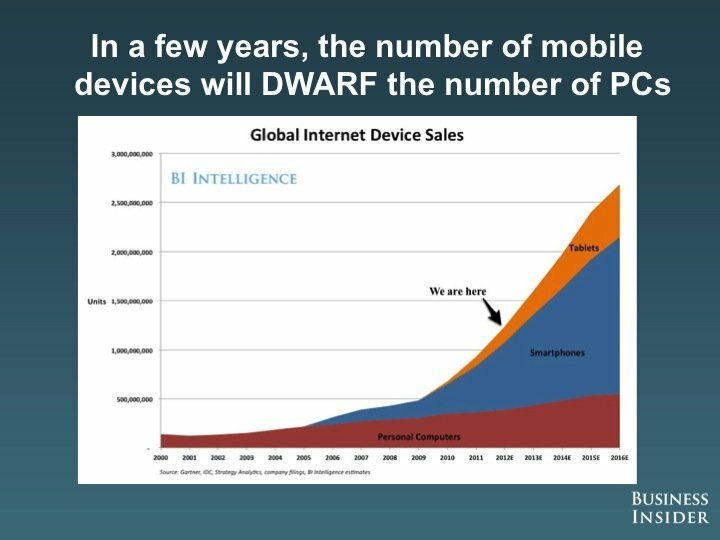 Yes I know mobiles are portable computers too but once again they lack that larger screen which is necessary for so many things. I was in a coffee shop yesterday and a group of students were sat at the table next to me. One of them had an iPad and was using it to show his friends various things. It became a social experience which would be much more difficult on a small screen. Within the business world, tablets provide a more portable, more impactful means to showcase work to clients. Tablet sales rose an incredible 60% in the first quarter this year for Verizon Wireless. Children love touching and interacting with things directly so tablets are ideal for engaging them and helping them to learn whilst also having fun. Research by Nielsen found nearly 70 percent of children in households with tablets use them and they are often used outside of the home to keep children entertained on journeys. The price is incredible. Cheaper than the average smartphone and computer. 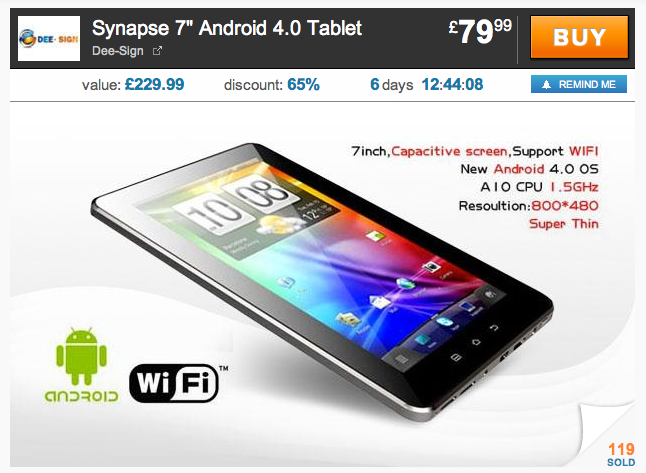 With offers like the one below surely Tablet growth is set to soar!